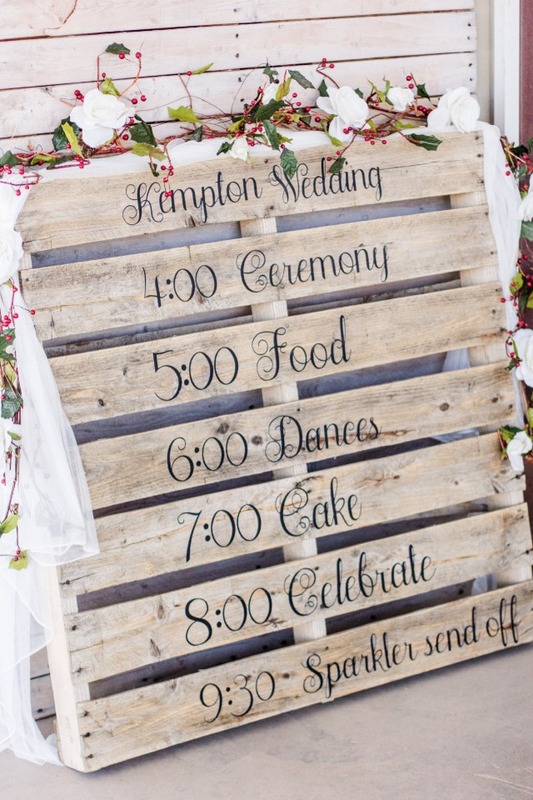 Who’s ready for summer weddings? 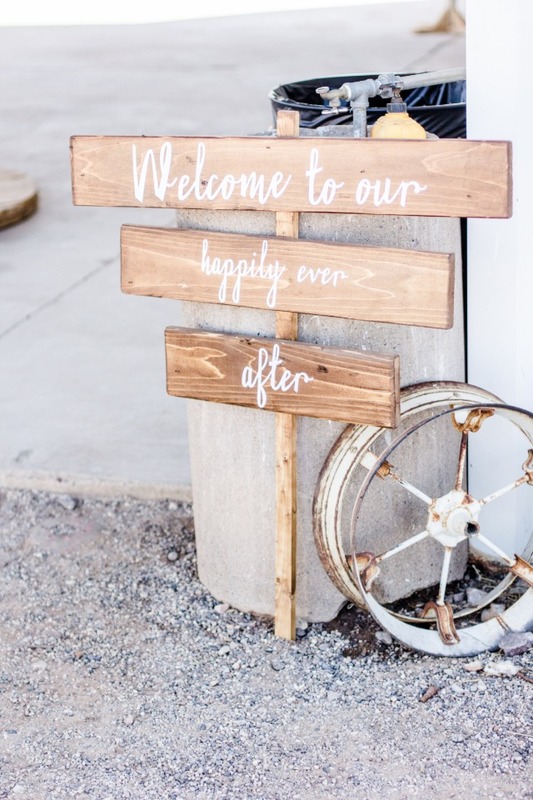 We certainly are and this gorgeous country wedding at Nevitt Barn in Arizona is a great way to kick off one of our favorite seasons. 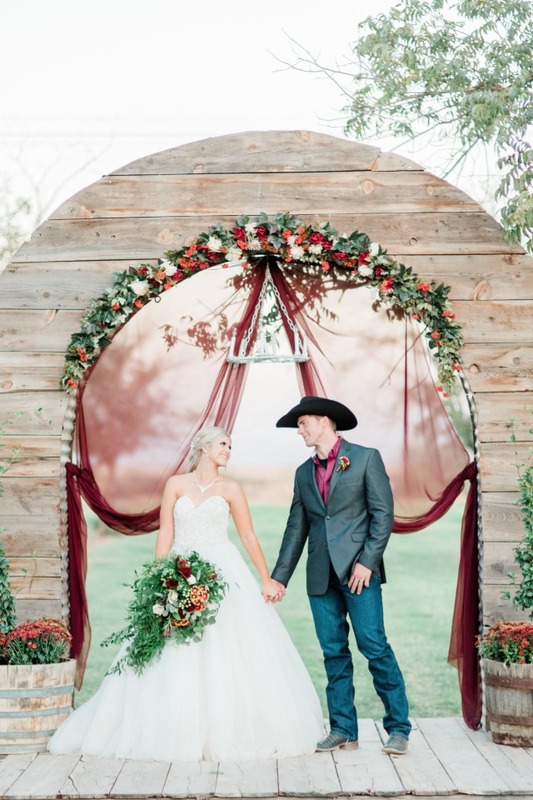 Country chic details, overflowing bouquets and a stunning DIY ceremony arch is just a snippet of what you’re about to enjoy from Cami and Justin's big day. 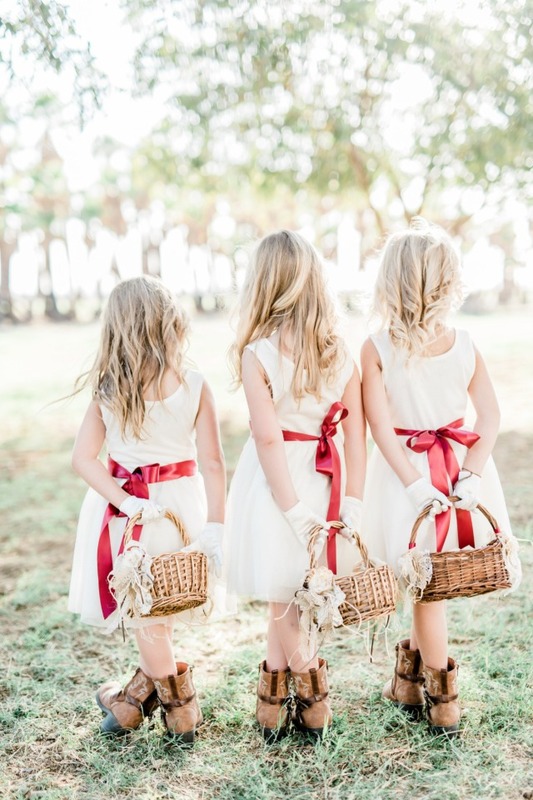 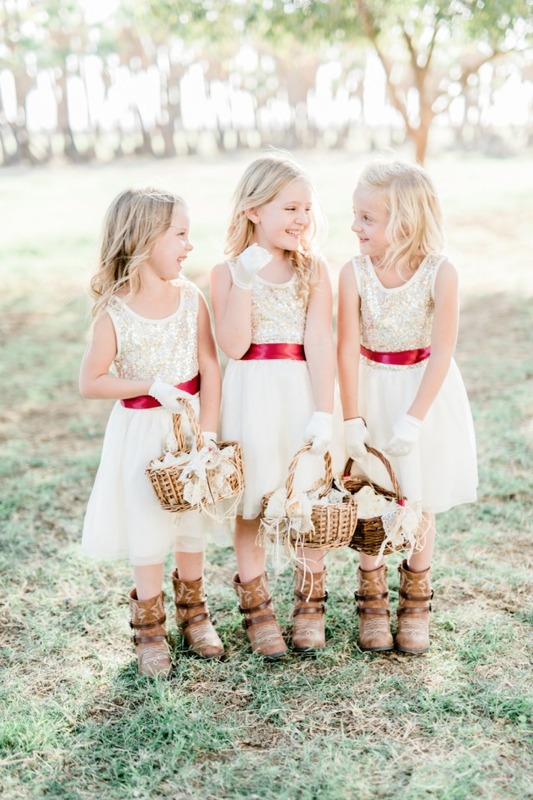 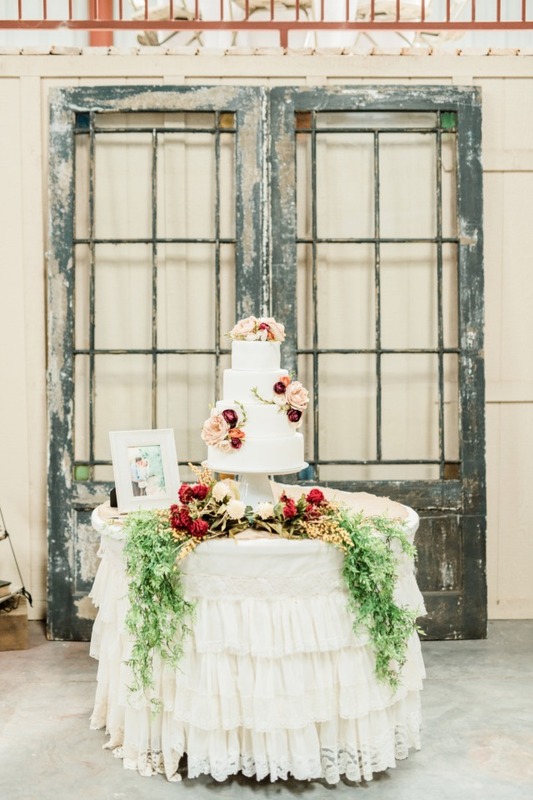 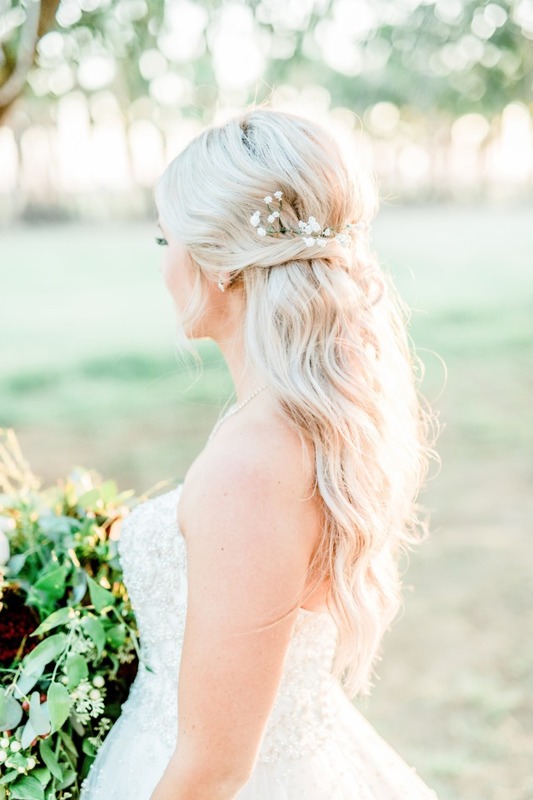 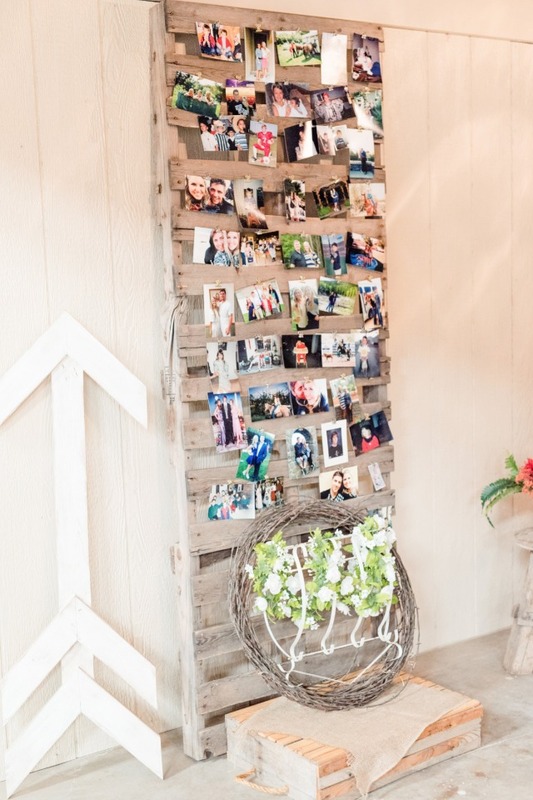 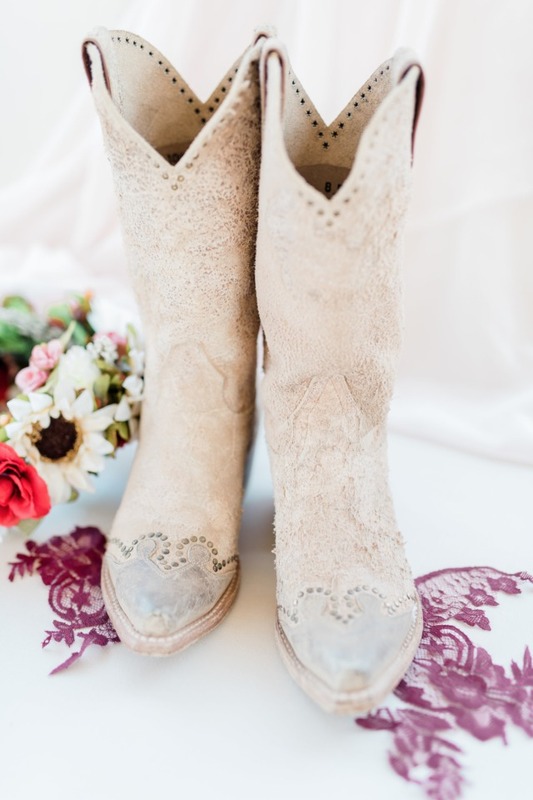 Keep scrolling to see all the country chic details we love, captured by Trisha Shelley Photography. 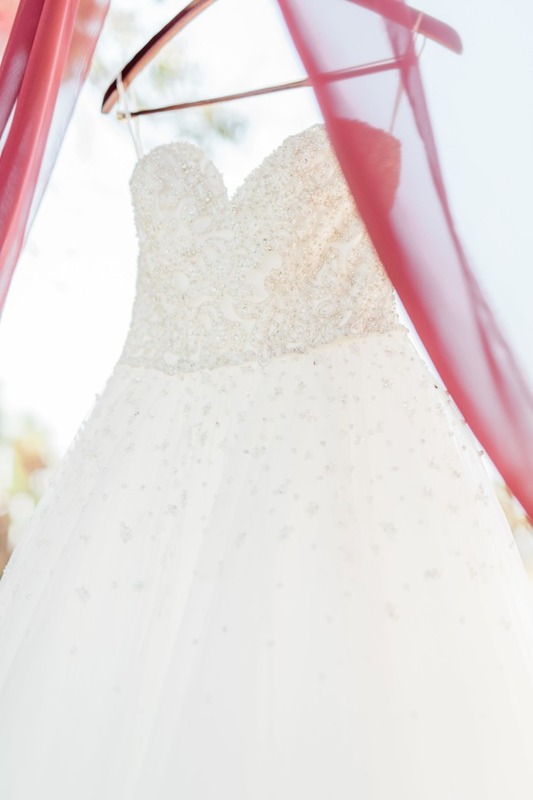 Plus we have even more beautiful images to share with you in the full gallery. 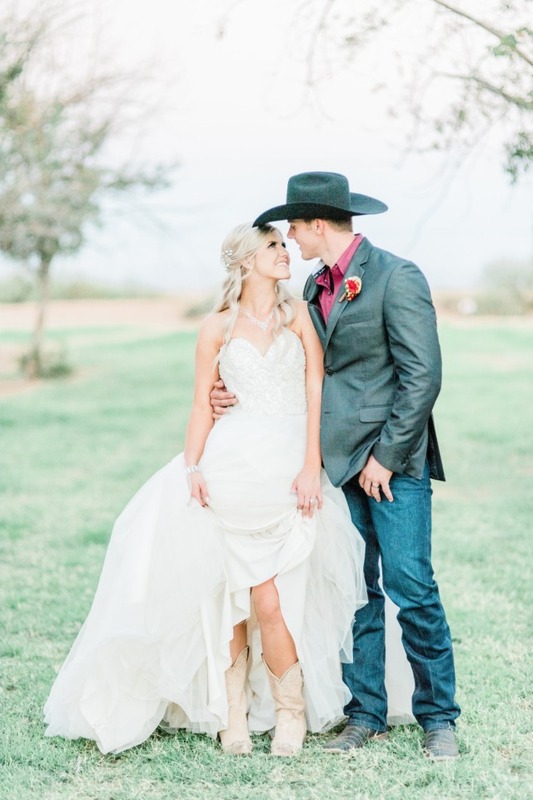 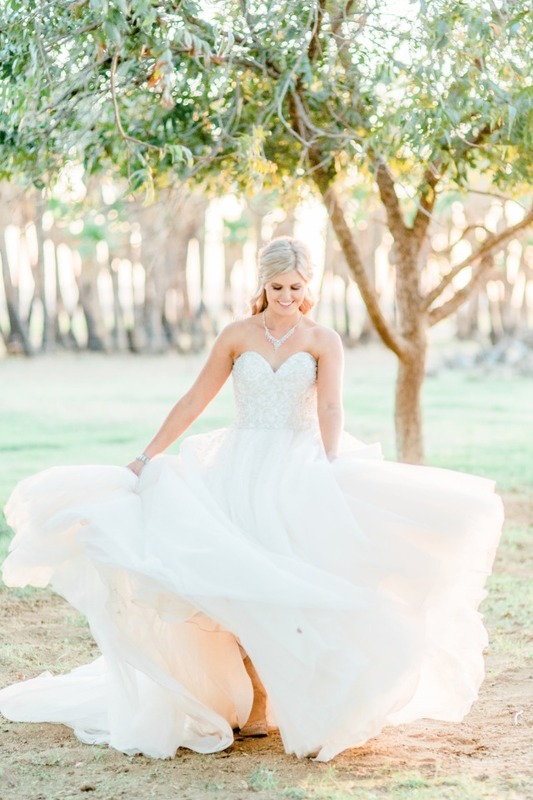 From Trish Shelley Photography: Justin and Cami's wedding was held at the Nevitt Barn in San Tan Valley, Arizona. 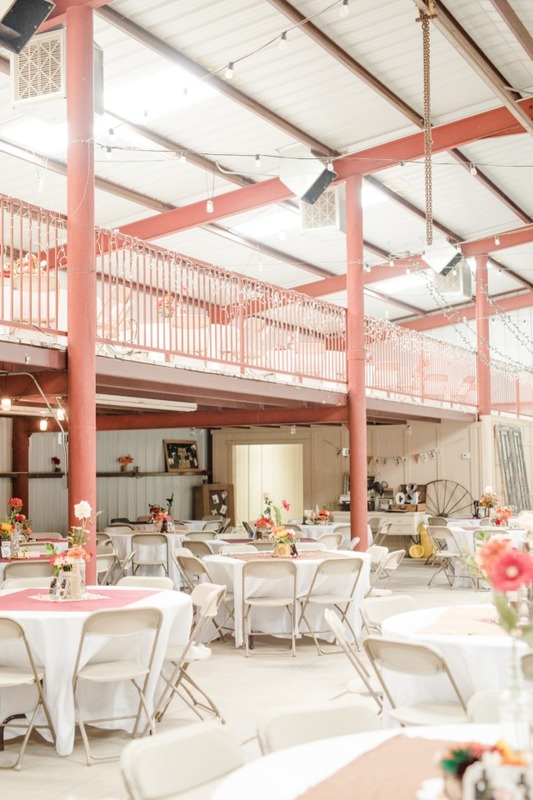 Nevitt Barn is a new wedding venue that Cami and Justin fell in love with because of it's beautiful trees, rustic feel, and large barn. 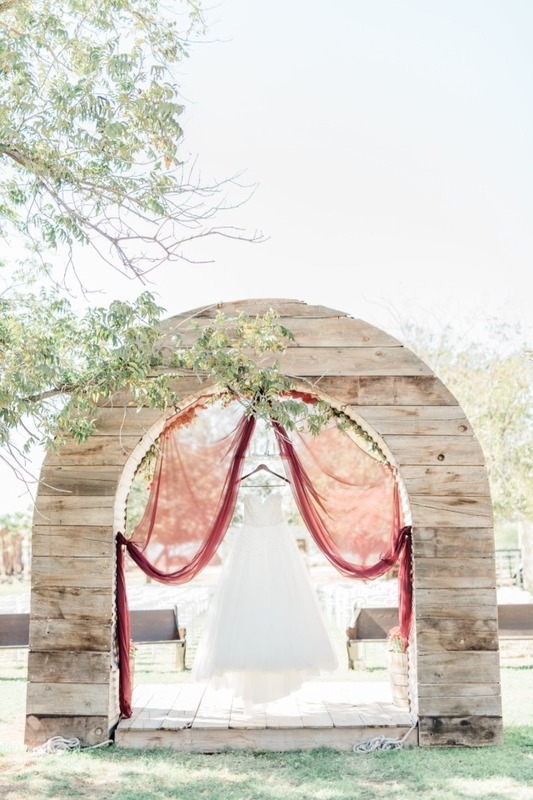 It's hard to find much greenery in Arizona, but this venue had it all! 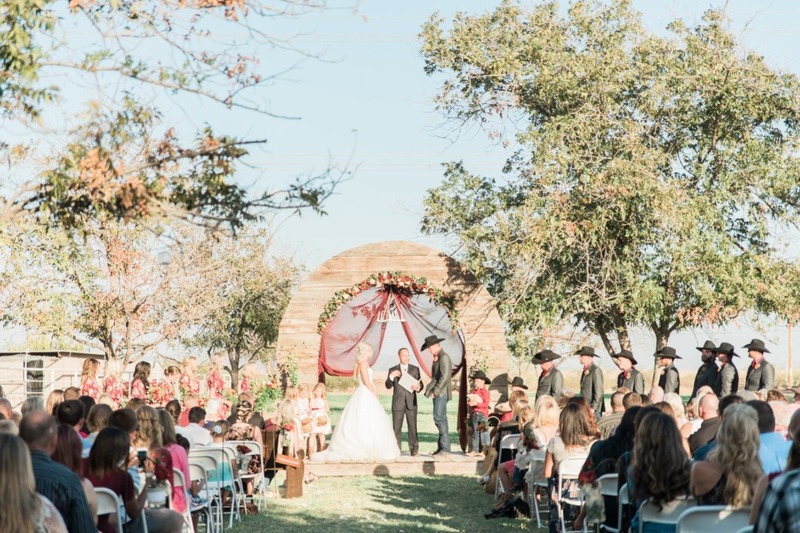 Cami and Justin had a huge guest list, and they knew this venue would be able to house them all comfortably. 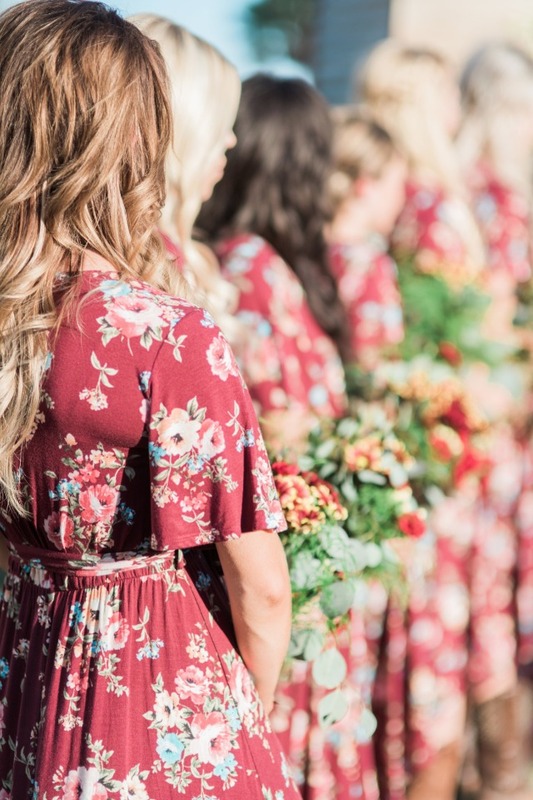 The bridesmaid's dresses were purchased from an instagram shop called Nelipot Apparel. 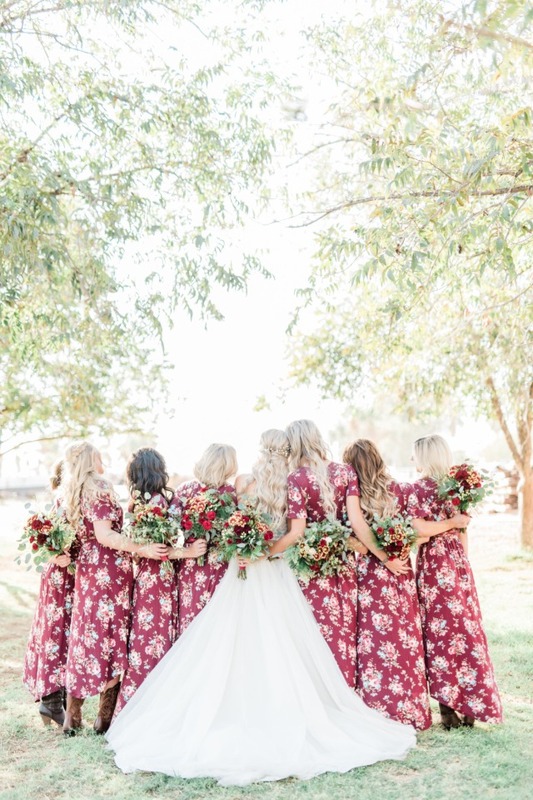 After seeing a few of the bridesmaid photos, the shop owner re-named the dress "The Cami Tie Dress" after the bride, Cami. 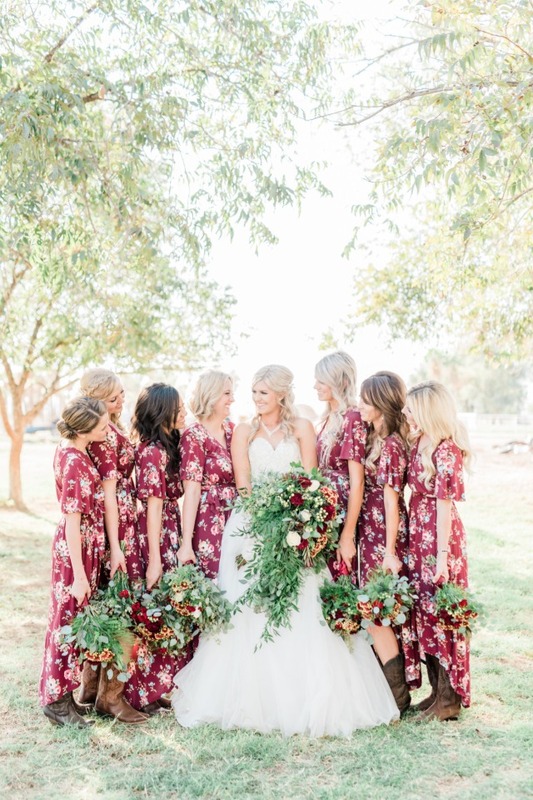 The girls wore their stunning floral wrap dresses that had flutter sleeves and a hi-low skirt with there dark boots while Cami wore her white boots (from Tin Rose Boutique) for her wedding day. 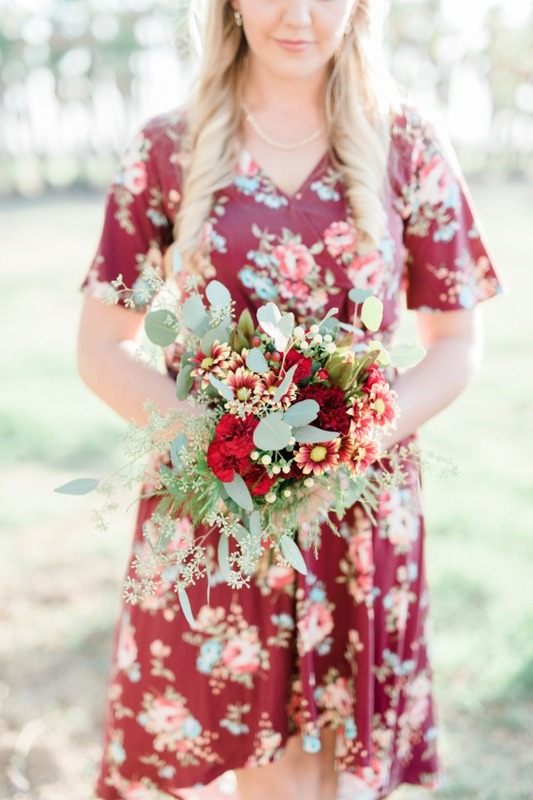 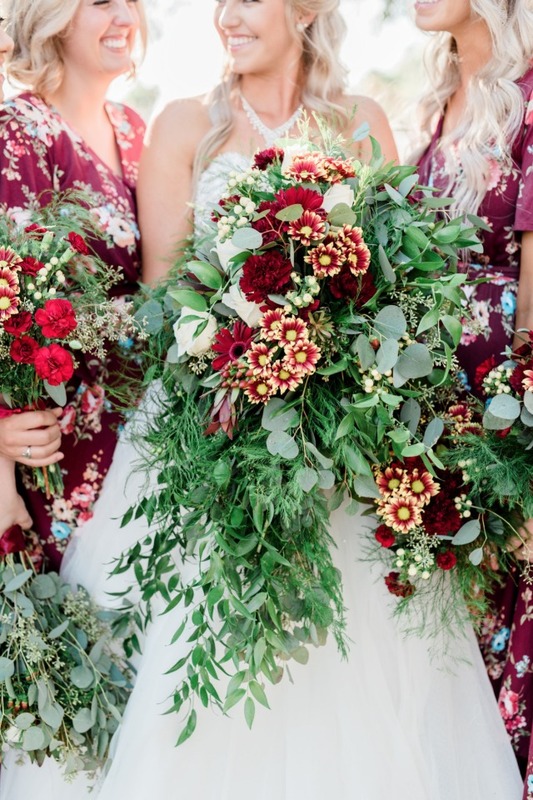 Cami opted for gorgeous cascading florals with accents of her wedding color, burgundy, and tons of leafy greens for herself and her girls. 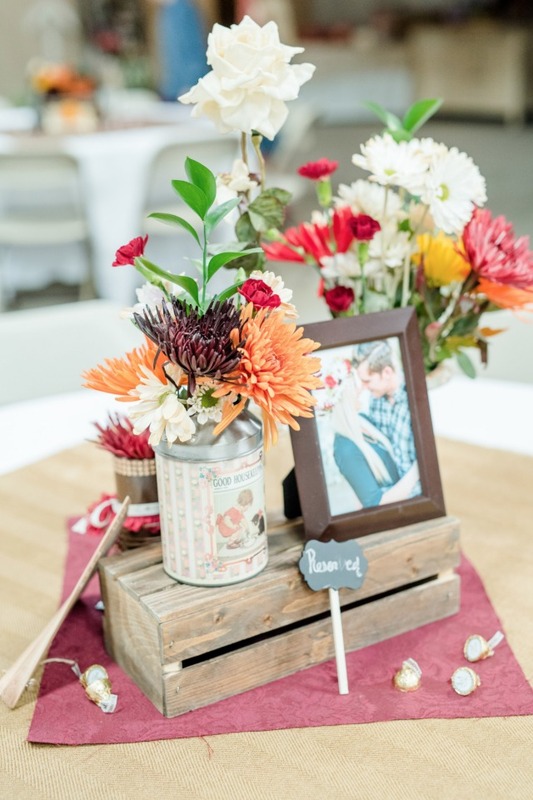 Upon arriving at the venue, Cami's mom was quick to show me all of the gorgeous homemade DIY creations that the groom had put together for the day, starting with the alter. 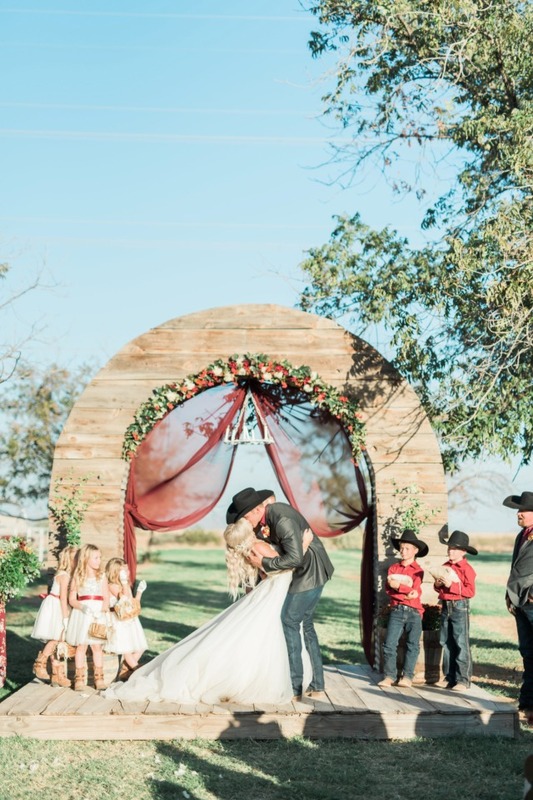 Justin hand crafted the altar himself with the help of a brother and his father, creating a unique backdrop for their special ceremony. 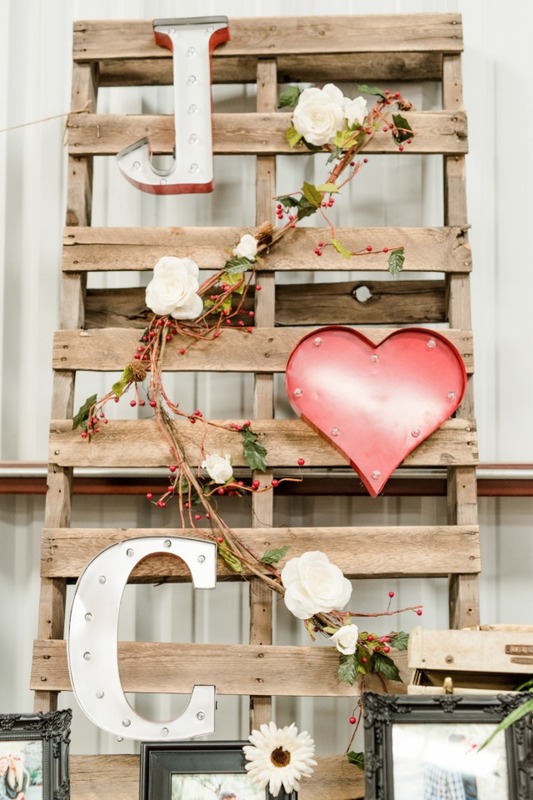 In addition to the backdrop, Justin also created a fun prop wall for the reception area for guests to take photos with a fun backdrop. 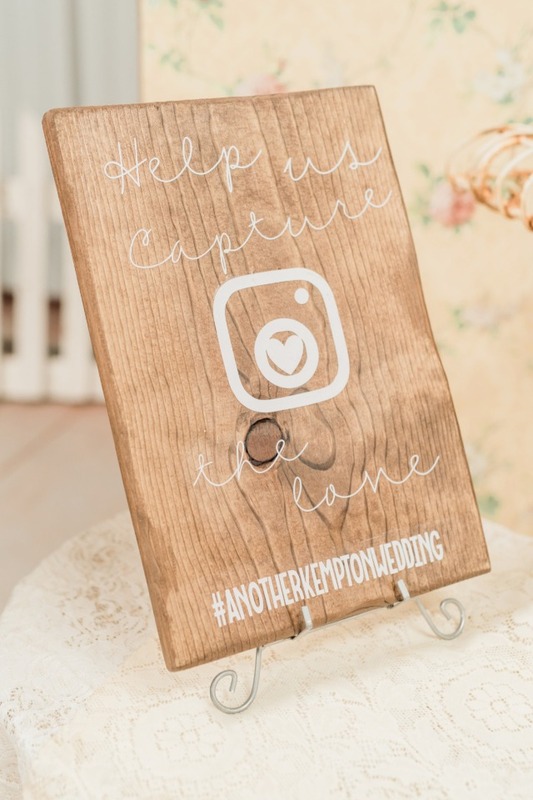 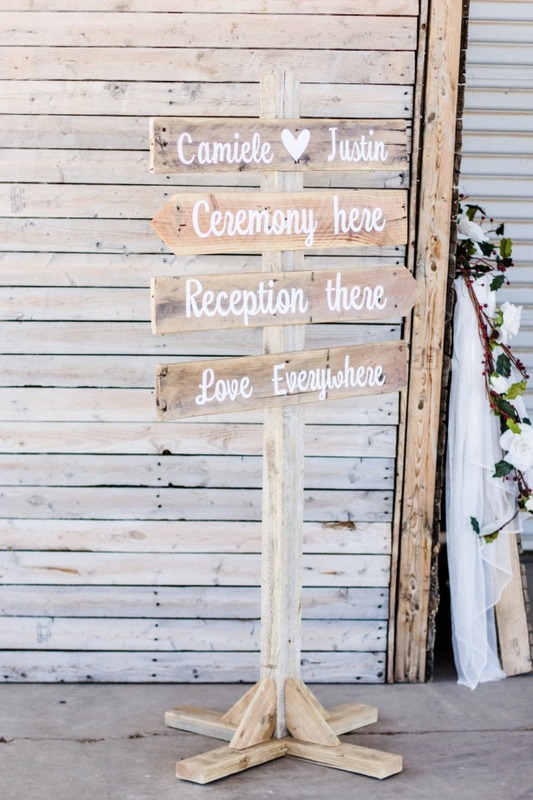 Justin and Cami also filled their space with many unique and rustic themed signs that helped direct their guests through the day. 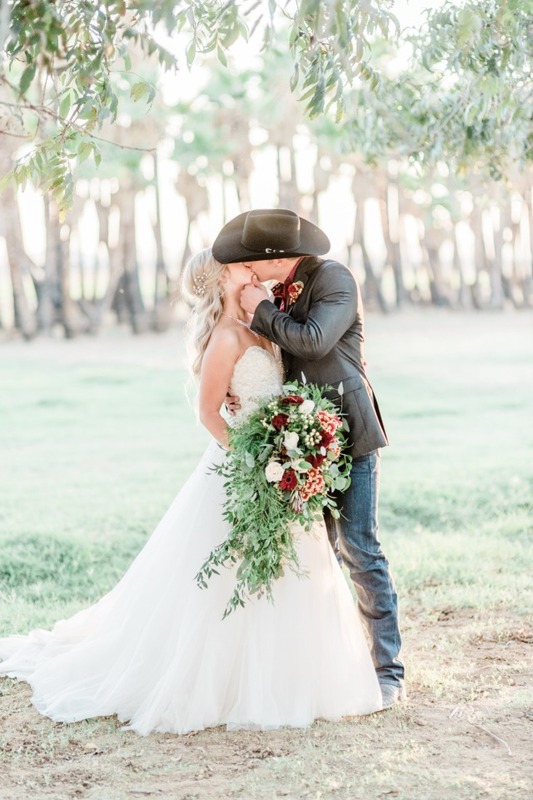 We only had 20 minutes for Justin and Cami's romantic portraits after the ceremony, but the gorgeous Arizona sunset didn't disappoint and it provided us with the most dreamy lighting to capture this gorgeous couple! 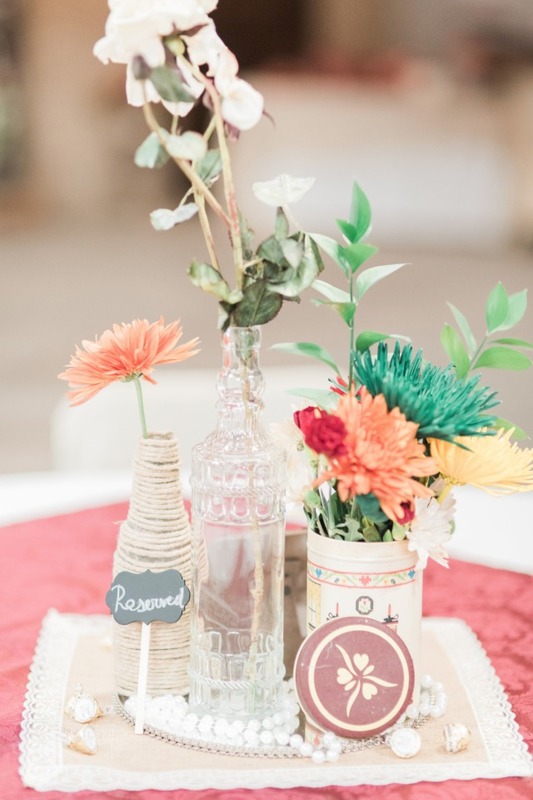 The reception was a night to remember with line dancing, kids sliding down the slide, delicious food, and just the joy of these too radiating through the night. 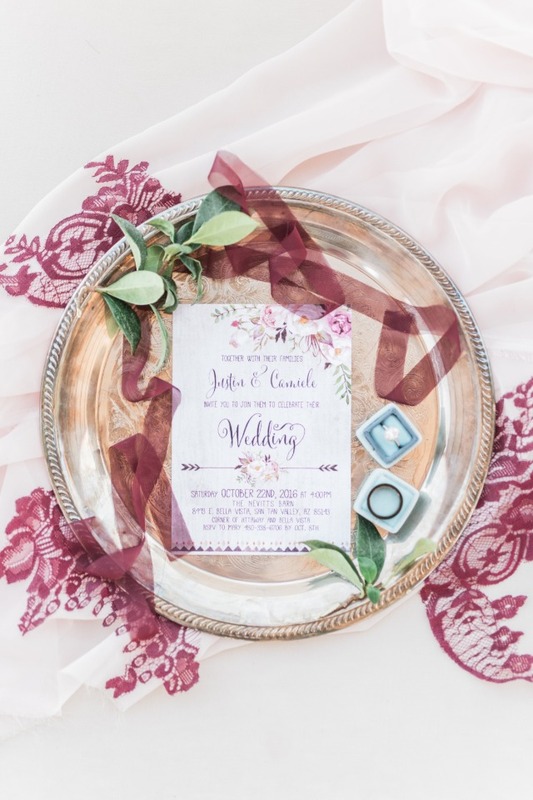 Cami and Justin ended the night with a grand sparkler exit before the jetted off on an airplane to Hawaii for their honeymoon.